With fully hospitable services, Angel Palace Restaurant serves all guests even not stay in our accommodation. From the authentic Vietnamese dishes to international cheers, our year-experienced Angel Palace Chef is sure to offer you incredible experiences. Check out our chef's specials when you come in! 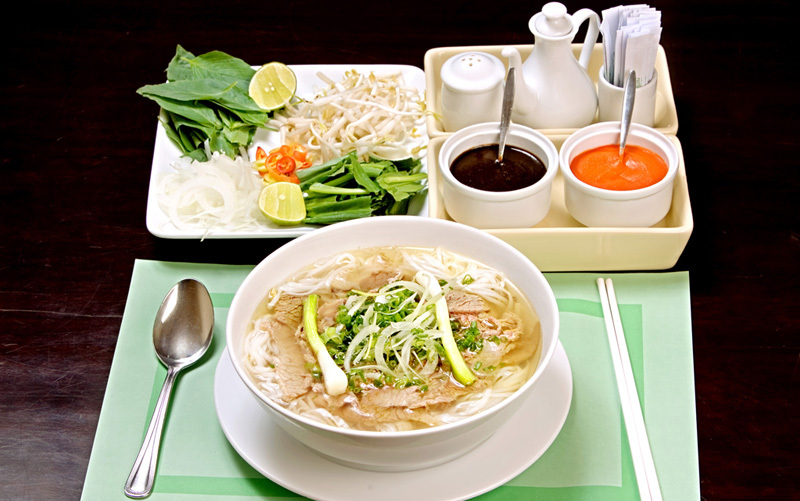 Hanoi’s cuisine is famous nationwide with many specialties, but the most well known dish is Pho, a rice noodle soup often eaten as breakfast meal at home, food stalls, roadside inns, or in the restaurants. Pho consists of flat rice noodles, meat-based broth. It's a fantastic steaming bowl of rice noodle soup served with fresh herbs. And everyone around the world always wants eating Pho in any Hanoi Restaurant when they have a chance to go to Vietnam. It becomes an instant favorite for many people. After pho, Bun Cha is one of Hanoi most famous dishes and not to be missed. It is basically a noodle soup with pork. 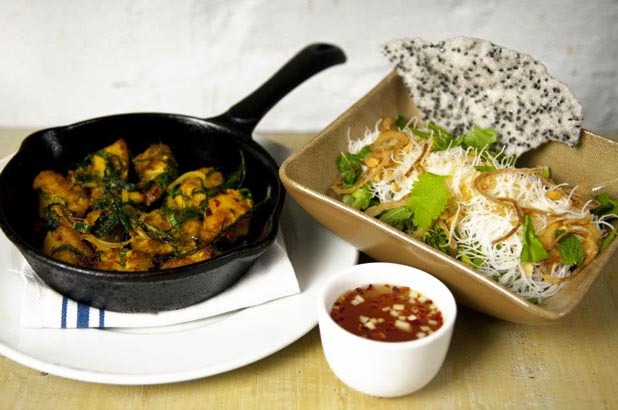 You’ll be served by a plate of rice noodles, fresh herbs, and a bowl of cold broth with grilled pork. The broth and the pork are the ones make this dish unique. BBQ minced pork served with white noodles (bun) and loads of fresh greenery, Bun Cha is tasty and filling. Many a newly arrived foreigner has developed an addiction to this simple dish. 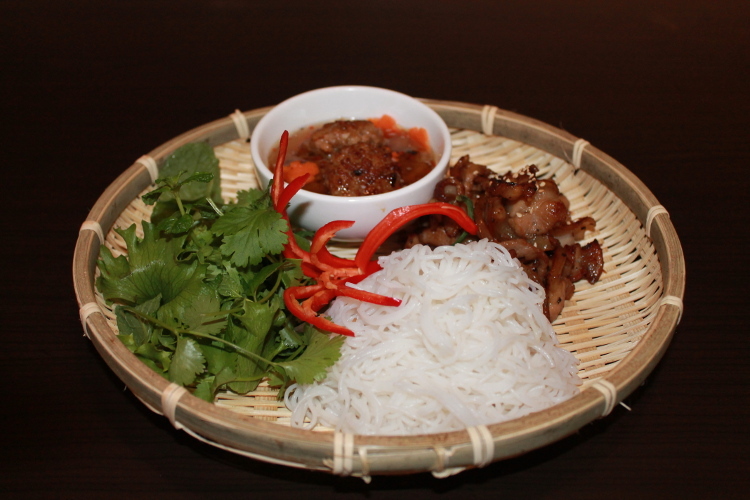 If you have chance, let's try our Bun Cha in the best restaurant in Hanoi hotel at Angel Palace Hotel. 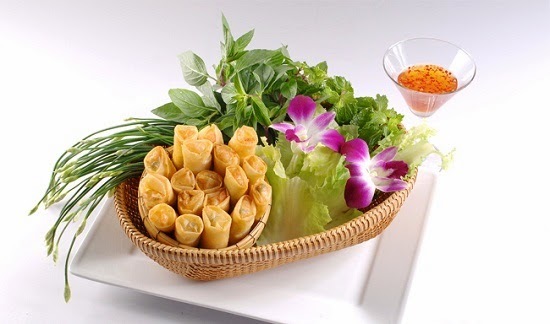 Traditional Vietnamese spring rolls (mixture of ground pork, eggs, glass noodle, carrot, wood-ear mushroom). Nem ran (called cha gio in the south) is a much-appreciated speciality, although it is very easy to prepare. Nem are eaten hot with a sauce that it is, at the same time, somewhat salty, sweet, acidic and scented (with the flavours of onion and pepper). Papaya and a few fresh scented vegetables are added. Very lightly seasoned beef, stuffed into bamboo pipe, enhanced the flavor with spring onion and Vietnamese coriander, grilled on high heat fire then served with rich pepper sauce & steam rice. 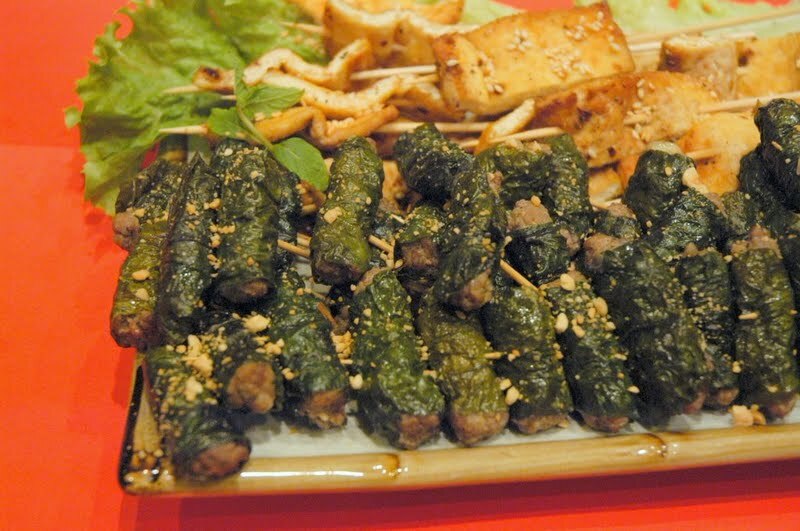 One famous dish of Vietnamese Food Recipes, it is Betel Leaf Wrapped Beef. This recipe is very likely in rainy season in Vietnam. 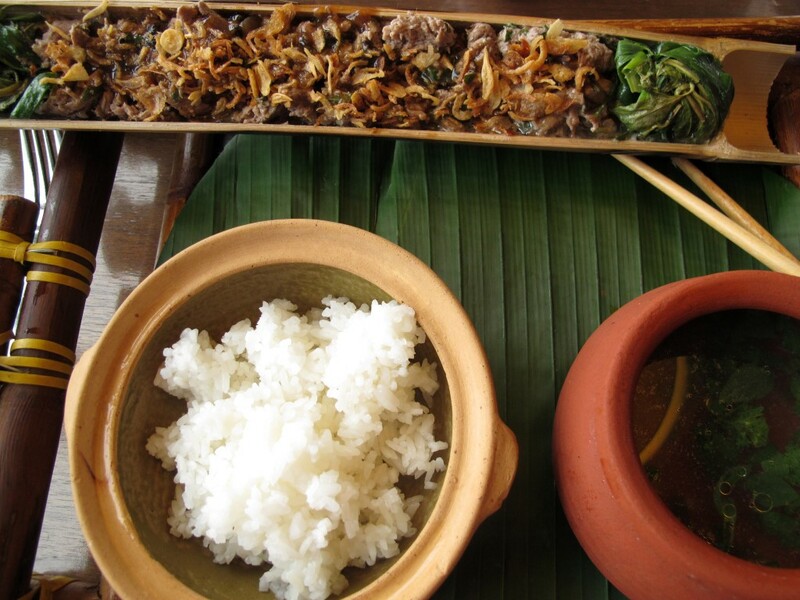 It is minced beef with garlic, lemon grass grilled on high heat fire then served with steam rice and vegetables. This dish, wrapped up in wild betel leaf, has become a favorite snack of Vietnamese.